Save a lot of time in Excel! 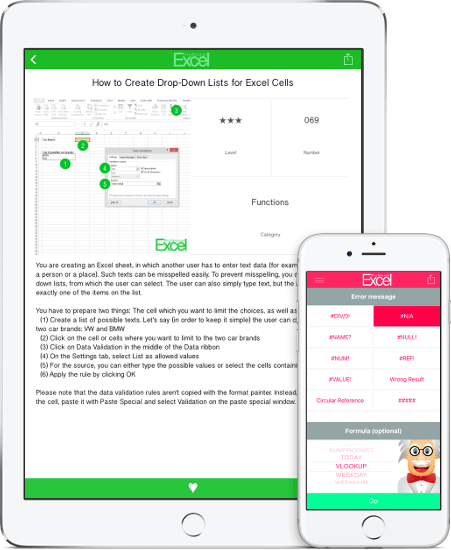 'Professor Excel Tools' extend your Excel with great new functions. The goal: Make you saving time. Help you with your every day work. Try it for free now - usually it's worth within the first days of use. No sign-up, no installation. Try it for free! Never forget your Excel passwords again! Save your Excel passwords where you need them: In Excel. 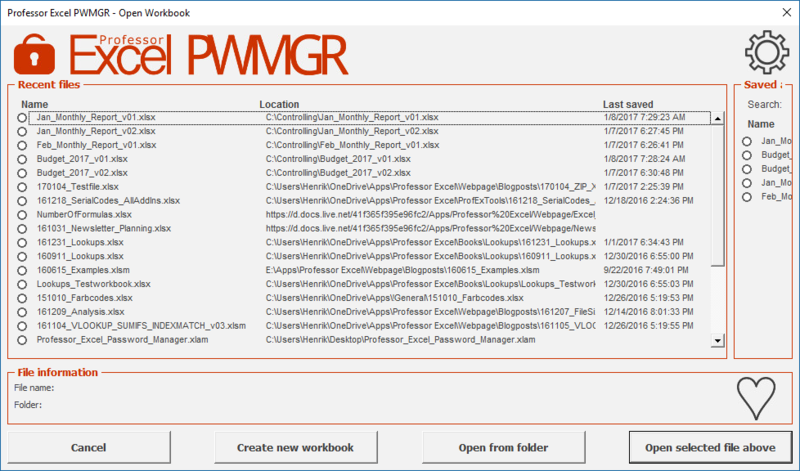 No more guessing - simply open your Excel workbooks with the password manager. You got a new version of your file? Select from your saved passwords. Become an Excel export: Get one Excel tip every day. It just takes 3 minutes each day. And the best: It's entirely free. Why don't you try it now? Solve any error in Excel. Just select the formula and the error message. You get a detailed description of how to fix the error. Learn Excel and become an Excel expert: The large knowledge area provides a lot of tips, tricks and advice for you. You probably don't know these facts about Excel... check them out now! We offer a free newsletter once per month. It contains tutorials, facts and much more. The more keyboard shortcuts you know, the more efficient you get. The perfect presents for every Excel user. Take a look at them!